Patrick Fields, DDS welcomes kids beginning at age 12. This is around the time kids become more concerned with their appearance, including the way their teeth look. 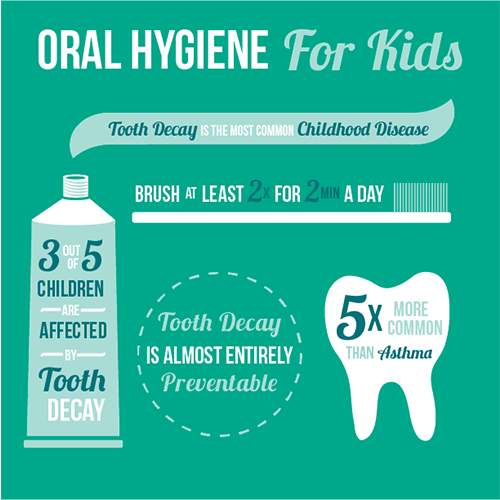 Ages 12 and up are a great time to reinforce the importance of oral hygiene and healthy food choices to help kids keep their teeth looking and feeling great, and our team is here to help with the education and information kids need. Ages 12 to 18 are filled with every kind of growth and change—and that includes changes in the face and jaw. These changes should be monitored by Dr. Fields, accompanied by preventive dentistry such as professional cleanings. We can take care of cavities, root canals and extractions—and we offer Invisalign Teen® as an orthodontics option. Many teenagers are pretty sure they already know everything—but our team will do our best to help add to that knowledge base. If we can impress upon them how important it is to care for their teeth because they only get the one adult set, we’ll have done our part. Then it will be up to you—and them—to stick to consistent brushing and flossing and keep hygiene appointments with Dr. Fields twice each year so they can move through these hectic years with a smile! Accidents are a fact of life in sports—millions of kids have teeth knocked out during play every year. One-size-fits-all mouthguards available anywhere actually don’t—they also tend to fall out and aren’t comfortable. Dr. Fields can custom-fit your star athlete with a mouthguard to keep them safe and focused on the field. Play ball! Fillings today are made from durable composite resin, porcelain, or zirconia materials. They are safe, adapt to changing temperatures, and withstand normal wear and tear with ease. Dr. Fields color-matches filling materials with your natural teeth for a uniform, aesthetically pleasing look you can really chew on. If you’d like to know more about treatment options with your Cabot children’s dentist, Dr. Patrick Fields, call or schedule an appointment online today!